Director James Cameron arrives at the premiere of "Avatar," at the Grauman's Chinese Theatre, in the Hollywood section of Los Angeles, California on December 16, 2009. Disney is wagering a reported half-billion dollars that you and zillions of other people will line up for new theme park attractions based on the movie. You may not have thought much about the 2009 movie "Avatar" over the past eight years, but Disney sure has. The Magic Kingdom is wagering a reported half-billion dollars that you and zillions of other people will line up for new theme park attractions based on the movie's bioluminescent world of Pandora. It's a major gamble, even by Disney standards. While the movie smashed box-office records thanks to its dazzling 3-D effects and higher 3-D ticket prices, it's also left little but a fading echo in pop-culture consciousness. There are no "Avatar" sequels, at least yet, and no spinoffs; memorable characters and catchphrases are also in short supply. "I've never seen anybody ever walking down street wearing an Avatar t-shirt," says Martin Lewison, a theme park expert and business management professor at Farmingdale State College in New York. "There's no real emotional connection with 'Avatar' among the public despite the movie being so popular." But theme parks are big business, and Disney is counting on what its executives call "Avatar Land" — the official name is "Pandora - World of Avatar" — to help keep that engine humming. In the fiscal year that ended in October, parks and resorts accounted for 31 percent of Disney's nearly $56 billion in revenue, though only 21 percent of its nearly $16 billion in operating profit. Disney also wants to prove it can turn its newer cultural properties, which include "Star Wars" and the Marvel superhero franchise, into popular theme-park attractions. In that, it's basically playing catch-up with rival Universal Studios, which launched a hugely successful Harry Potter theme park in 2010. 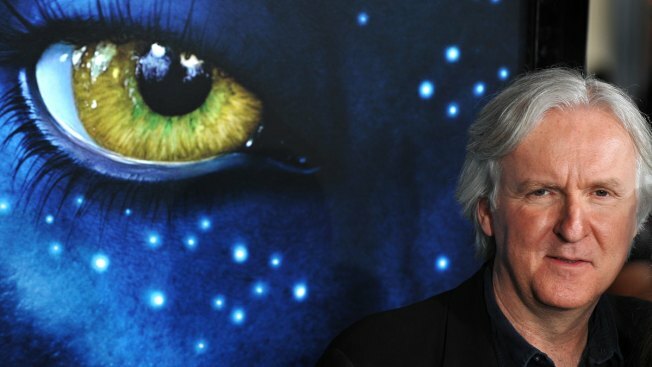 James Cameron, the mercurial director famous for "Titanic" and several other blockbusters, has been promising "Avatar" sequels almost since the original premiered. One had been in development since 2010. Disney licensed the park rights in 2011, when a sequel didn't seem that far off. Little did Disney know. In 2013, Cameron announced his intention to film three follow-on films simultaneously, for release starting in 2016. But the date was pushed back until 2017, then 2018. In March, Cameron said 2018 was "not happening ." In April, he announced the start of production on four sequels now scheduled to roll out from 2020 to 2025 . That's left Disney to plunge ahead on its own with Avatar Land, which opens May 27 at Disney's Animal Kingdom theme park in Florida. If all goes well, the park "will promote the films and the new films will of course circle back and promote the land," Lewison says. But for the moment, Disney seems to be selling the opposite of such synergy. The company currently aims to wow parkgoers with attractions focused on the landscape and wildlife of Pandora, whether or not they remember the original movie. The primary rides showcase the world's creatures and plant life rather than characters or events from "Avatar." Joe Rohde, the park's design and production leader, makes that disconnect explicit, describing the park as a way to visit part of Pandora that has nothing to do with the movie's clash between Pandora's blue Na'vi race and mineral-hungry human industrialists. Now, he says, "you're free to have your own adventure without worrying about what happened to somebody else some other time." One big reason Disney has pushed ahead with Avatar Land — not to mention "Star Wars"-themed attractions scheduled to open in 2019 — is the rising threat posed by Universal's The Wizarding World of Harry Potter. In 2015, about 138 million people visited Walt Disney Attractions, up nearly 3 percent from the prior year. Universal Parks and Resorts saw less than a third as many visitors — 45 million — but that figure was up nearly 12 percent, according to the trade group Theme Entertainment Association . "What Harry Potter did was to become a big public success and financial one as well," says John Gerner, managing director of theme park consulting firm Leisure Business Advisors. "It really set a new bar for our industry." Of course, Avatar is a very different brand than Harry Potter, which has launched nine feature films to date, including an entirely new series whose second installment is due next year — well before the first "Avatar" sequel. In that sense, the main event may really begin in 2019, when Disney is scheduled to open two new "Star Wars" parks at Disneyland in California and Walt Disney World in Florida. Universal Studios plans Nintendo-themed attractions at its parks in Florida and Japan beginning in 2020. "There's a rule in the theme-park industry right now, 'Keep building, keep building up capital infrastructure,'" says Lewison. "That is driving attendance — everybody wants to go check out all the new stuff."